Authentic and in-depth knowledge, experimentation and thoughtful analysis are keys to a successful science fair project. These three hallmarks of the scientific method, although seemingly linear, definitely are not in practice. Re-visiting the literature is a constant process that must continue throughout an entire science fair project. If your students’ experiments or prototypes yield unexpected results, they must return to the existing literature to find possible reasons. As long as the work was properly controlled and no mistakes were made, this surprising data could indicate that the student may have come across new information in the field— a real discovery. This requires then more checking through published research to verify. As a general rule, students should compare their experimental results with what was expected, published data, and commonly held beliefs. This allows them to truly draw conclusions about the topic that are relevant and contribute to the field. However, in a world where students are bombarded with information, sifting through and finding what is useful can be a challenge. Without a solid foundation of accurate background research, experimentation can become superficial and analysis meaningless. In doing background research throughout the project, students need to distinguish credible sources in their literature searches. Teachers can make a difference. Guiding students through the process can help them to achieve a deeper level of understanding and analysis. The Challenge: Science and engineering projects are often narrow in their scope, but it’s equally important for students to comprehend the broader picture. Literature searches can be overwhelming to students if they read through articles or textbooks and have to look up every other word, or if they don’t understand how information fits together. Solutions: Talking to experts is instead one of the best ways to acquire this knowledge. Whether it’s a teacher at school, a university professor or professional in the field, an expert can greatly simplify background research by clearly and concisely explaining the topic as it is relevant to the student. Don’t let your students be limited to traditional written sources! Encourage them to talk to experts, read magazine articles, watch videos, and ask questions through emails. These all are excellent ways to become comfortable with the topic at hand and to learn more than just the specifics of the project itself. This background research will further be useful when considering future studies, and when presenting to judges. Does the source have a good reputation? A well-reputed source is ideally peer-reviewed, or at the very least will cite all of its sources. Is the author or publication generally regarded as reputable? Is the author truly an expert in the field? Expert authors have credentials and experience in the field, as well as a connection to established organizations. Consider the difference between Wikipedia, which can be edited by the general public, and scientific journals, which are peer-reviewed and written by researchers. Obviously, the latter is far more beneficial. Is the source recent? Scientific developments are constantly evolving, and information quickly becomes outdated. There are of course a few exceptions to this rule but in general, only sources in the previous five years should be considered. Does the source express a neutral perspective? To determine this, have students consider the purpose of the author or the source. Highly persuasive sources may have an ulterior motive. A study on the benefits of sugar sponsored by a soda brand, for example, must be examined for legitimacy. An author who has a vested interest may not present the whole picture, or may slant information to suit a greater purpose. Neutrality is important in determining the reliability of a source. Online resources can be fruitful or pitfalls. Typically, web sources that end in .edu, .org, and .gov are ideal. Peer-reviewed journal articles and publications written for students through major journals (such as Scientific American and Science News) are also excellent for gaining enormous insight into a topic. 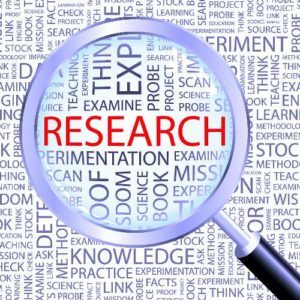 Research can be overwhelming to many students, so it is important to break the process down into manageable chunks. Deeper analysis can be achieved by all students when taken step by step. Encourage them to keep asking questions and to delve deeply into the literature and data — this will strengthen their projects, and help them become experts themselves!